A "county lines" drug dealer has been ordered to pay back nearly £94,000 made from selling heroin, crack cocaine and cannabis in Swindon. Reuben Rose, of Windrush Road, Harlesden, London, was jailed for eight years in December after pleading guilty to supplying drugs. 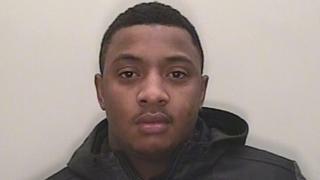 The 25-year-old was given the payback order at a Proceeds of Crime hearing at Swindon Crown Court on Tuesday. He must pay £2,625 within three months or face an extra month behind bars. Rose will have to pay off the remainder of the £93,864 total over his lifetime. PC Gareth Snoad from Wiltshire Police said: "This order will place restrictions on Rose's lifestyle long after his prison sentence has been served."